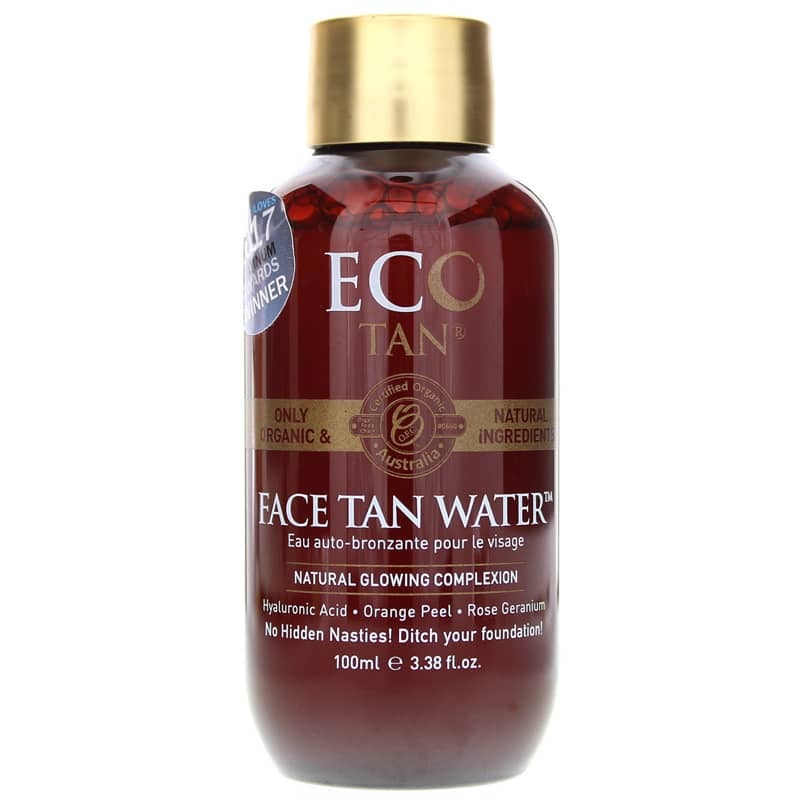 Eco Tan Face Tan Water helps build an even complexion and a perfect sun-kissed glow, while brightening your skin tone without artificial colorants. If achieving a perfect sun-kissed glow is on your list of things to get done as the weather warms up, Eco Tan offers a product that can help. Face Tan Water makes it easier to get that sun-kissed glow on your face as well. Made with natural and organic ingredients, including vitamin C, it not only offers the color you crave, but helps support your skin, too! Eco Tan's Face Tan Water gives you the freedom to decide how light or dark you'd like your tan to be. For the best results, it is advised to leave the water on for at least eight hours. And the best part? While you're building your gorgeous tan, ingredients like vitamin C are helping to keep your skin looking its healthiest. Plus, it's 100% vegan-friendly, cruelty-free and non-comedogenic! Get your glow the healthy way. 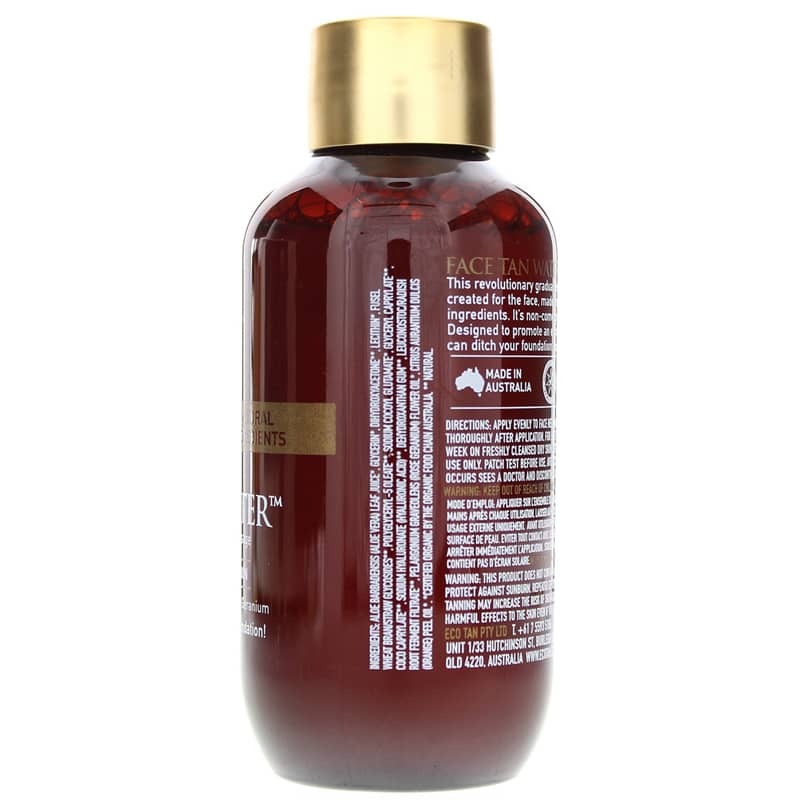 Give Face Tan Water a try today. Order now! 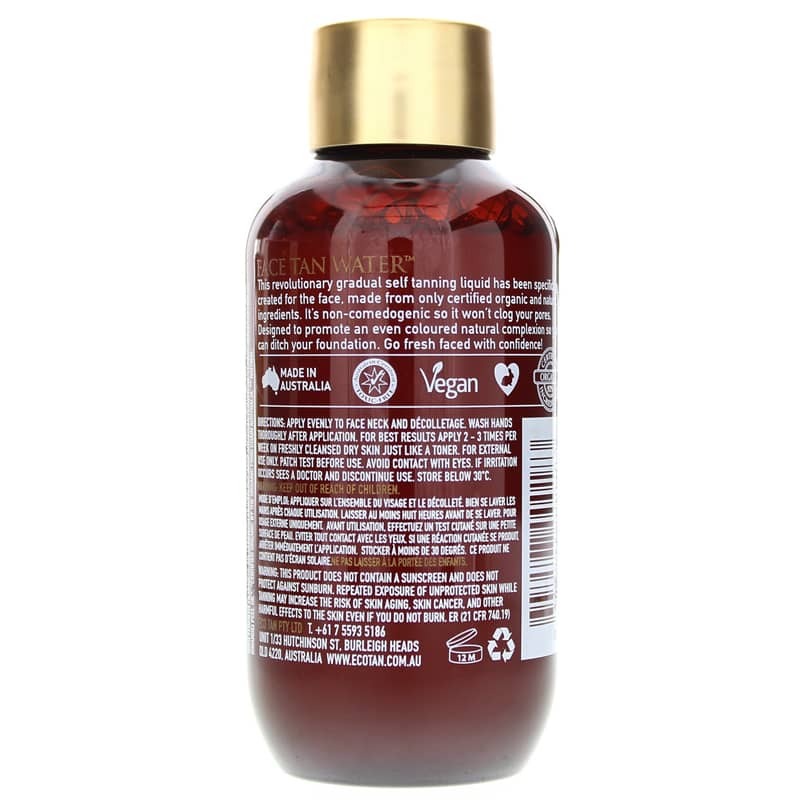 Aloe Barbadensis (Aloe Vera) Leaf Juice*, Glycerin*, Dihydroxyacetone**, Lecithin*, Fusel Wheat Brain/Straw Glycosides**, Polyglyceryl-5 Oleate**, Sodium Cocoyl Glutatmate**, Glyceryl Caprylate**, Coco Caprylate**, Sodium Hyaluronate**, Dehydroxanthan Gum**, Leuconostoc/Radish Root Ferment Filtrate**, Pelargonium Graveolens Flower Oil*, Citrus Aurantium Dulcis (Orange) Peel Oil*. Non-Comedogenic. 100% Vegan. Cruelty-Free. NO Animal Testing. Apply evenly to face and decolletage. Wash hands thoroughly after application. For best results, leave on for 8 hours before showering. Patch test before use. If irritation occurs, discontinue use. Avoid contact with eyes. Product does not contain sunscreen. Exited about Face Tan Water! Can't wait to try this. The idea of it is appealing. Though I do not avoid the sun, I don't tan easily and sometimes I feel my face is pasty looking. Thanks for making this available! Love this, use it everyday! It goes on easily and is thin, so you don't have to apply much. You get a nice even glow, even with one application!